Stop the press! Something wild just happened. I, Dan Olson, found common cause with the tea party. Coming from your local environmental group, this declaration deserves some unpacking. Two Saturdays ago, I attended a “public meeting” at the Durango Community Recreation Center. The topic of this joyous gathering? 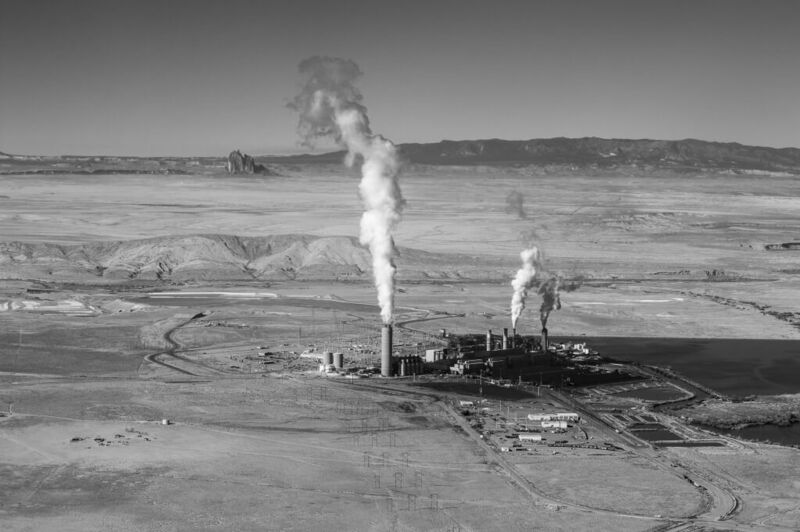 The Draft Environmental Impact Statement for the Four Corners Power Plant/Navajo Mine Energy Complex (FCPP Complex). A little background. The FCPP Complex is an antiquated, dirty, climate-change-inducing, mine-mouth coal power plant. It lives in your backyard, and it’s nasty. Because of the hard work of citizens’ groups like San Juan Citizens Alliance – three of the plant’s five generating units have been shut down. While this is a partial victory, the consequences are not linear. The two remaining units constitute 75 percent of the plant’s historic capacity – so much of the pollution continues unabated. The federal government is reviewing FCPP Complex permits in order to extend its operating life for an additional 25 years. Painful as it may be, let us set aside for the moment the appalling fact that the Obama administration would expedite approval for an antiquated coal-fired power plant while pretending to care about climate change. There’s actually a bigger problem afoot. The Department of Interior has a legal responsibility to engage the public as it prepares its analysis of the FCPP Complex. In this case, meaningful engagement would constitute eliciting public input, recording those comments and formally responding to the public’s concerns. Which brings me to my newfound appreciation for tea party outrage. In the case of the FCPP Complex meetings, the DOI was overtly uninterested in recording and responding to public input. Rather than hosting a public meeting where comments can be aired publicly and recorded – a meeting in which community members can hear one another’s concerns – the DOI put on a finely honed dog-and-pony show. Gone were the microphone and podium. Gone the dissenting opinions shared publicly and recorded. Gone the passion, the community exchange, the transparency. Notably present? Smartly dressed consultants manning glossy photo boards and talking-point-filled posters. The majority of the dialogue in the room transpired between community members and consultants one-on-one with no record of objections raised or concerns aired. Yes – there was a courtroom recorder hidden in a corner should someone like to lodge formal comments. That poor soul was by far the loneliest person in the room. With all of the venting going on in private dialogues, most of the exchanges went unrecorded – off the record. Effectively, the public was not heard. The wonderful thing about government malfeasance these days is how subtle it has become. After years of learning that breaking skulls is a bad long-term strategy for advancing political goals, political disenfranchisement went and got all grown up. If you participated in the “public meeting,” you probably feel that you were heard. And you probably weren’t, not in a way that matters. How sophisticated. So to my much-maligned tea party brethren – I concede that you are absolutely right to be mad. Sometimes, the government really doesn’t care what you or I think. The question, though, becomes: What do we do with our disappointment in obviously, if not purposefully, flawed government processes? And this is where my fleeting dalliance with the tea party begins to sour. The answer, in my humble opinion, is not to eviscerate government. It’s to own it. With rights comes responsibility. Democratic institutions are painfully, lovingly maintained – or lost – based on the public’s acceptance of responsibility for their stewardship. I don’t want the DOI to go away. I want the people who work there to care about public input and best available science. I want an individual’s opinion to be weighed equally regardless of how much money they contribute to political campaigns. I want living, breathing human beings to be heard and corporate persons to die. SJCA won’t allow DOI to get away with this dog-and-pony show. We want your voices to be heard.